Posted on Monday, January 9th, 2017. Friend, can you relate to this all-too-common scenario? 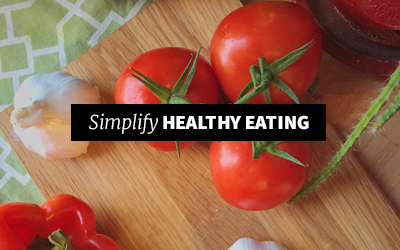 You’ve started eating healthier and exercising. You’re feeling better and noticing a difference in your body, so you muster up all the courage you have and step onto the scale, filled with hopeful anticipation. The number is higher than you expected. You feel discouraged, frustrated, and that all your hard work and sacrificing is for nothing. Sigh. I personally believe discouragement is an even bigger enemy to your weight loss efforts than the soda-filled fridge at work. Discouragement zaps your energy, motivation, and positivity about the situation, and can quickly end in defeat. You can fight this nemesis by tracking your progress in other ways while you wait for the scale to reflect your true fabulousness! Strength training is one of the best ways to lose weight and get healthier, but as you’re losing fat, you’re gaining muscle. This means the scale doesn’t go down as quickly as you’d like. It’s important to monitor more than just the scale to see if what you’re doing is working. Don’t worry, if your healthy habits are on point, the scale should have its come-to-Jesus moment and show your progress. But we all know this rarely happens in the time and amount we think it should. 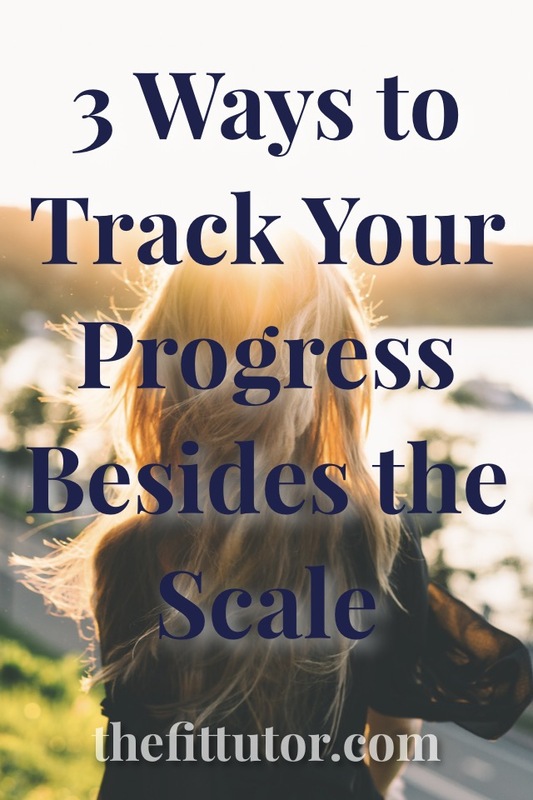 Here are 3 easy ways to track your progress while you’re waiting on the scale to catch up. Bonus: These can all be done in 3 minutes or less! What’s more telling than comparing how you looked a few weeks ago to how you look now? Take 2-3 photos from the front, back, and side (optional). Wear the same clothes each time and let them be revealing enough for you to see your overall figure as well as your “trouble zones.” Short shorts, underwear, or swimsuit bottoms work, as well as a swimsuit top, sports bra, or tight workout tank. Keep these as private as you’d like. Retake and compare every 2-3 weeks. If you’re not seeing a difference, change up part of your routine. *This is one you could do more often if that would help you keep your goals in the forefront of your mind! When people complain about the scale I always ask how their clothes are fitting. Their faces immediately brighten while they explain how much better their clothes fit, or how some are now too baggy. This is awesome progress, and should do more than sustain you while you’re waiting on the scale to drop! What do people see? 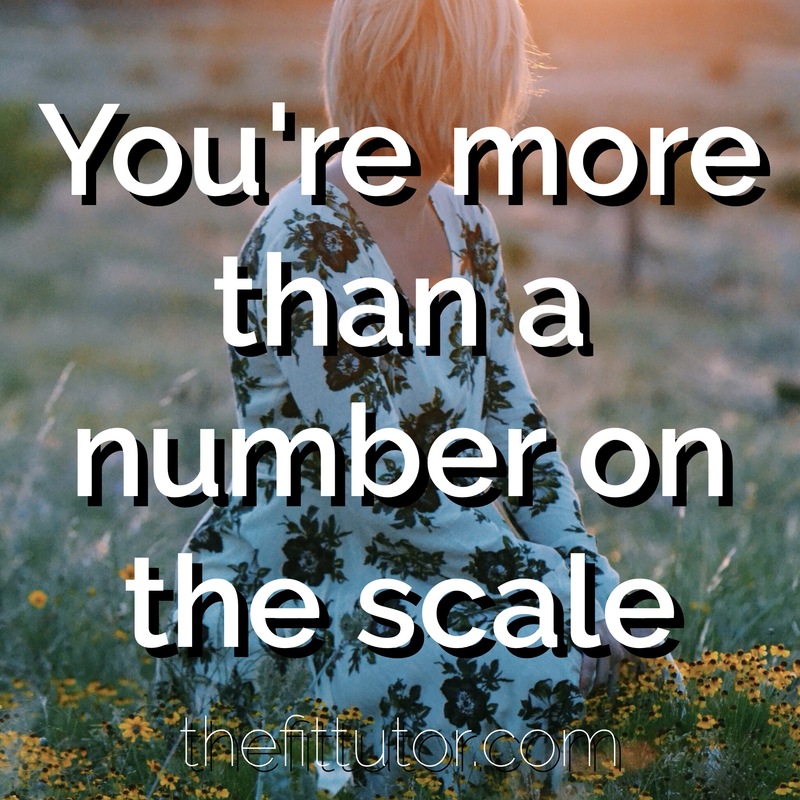 They see you in your clothes, not the number on the scale, so this is a huge victory you should celebrate (and keep track of). Pick just a few items of clothing (3 maximum), and try them on with the intention of noticing how they fit every 2-3 weeks. Record some notes to help you evaluate how they are different the next time. If you’re seeing results- celebrate! If not, you might want to change something up. Pro tip: Do this even on a rough week, or if you’ve experienced a setback. You don’t want to outgrow your clothes or be uncomfortable. Monitor how they are fitting (even if it’s tighter!) 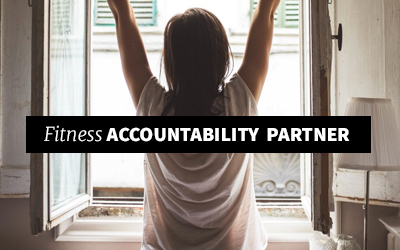 and reach out for some emergency accountability if needed! I said 3 minutes or less, so hear me out! Measuring can be time-consuming and frustrating to do on your own. 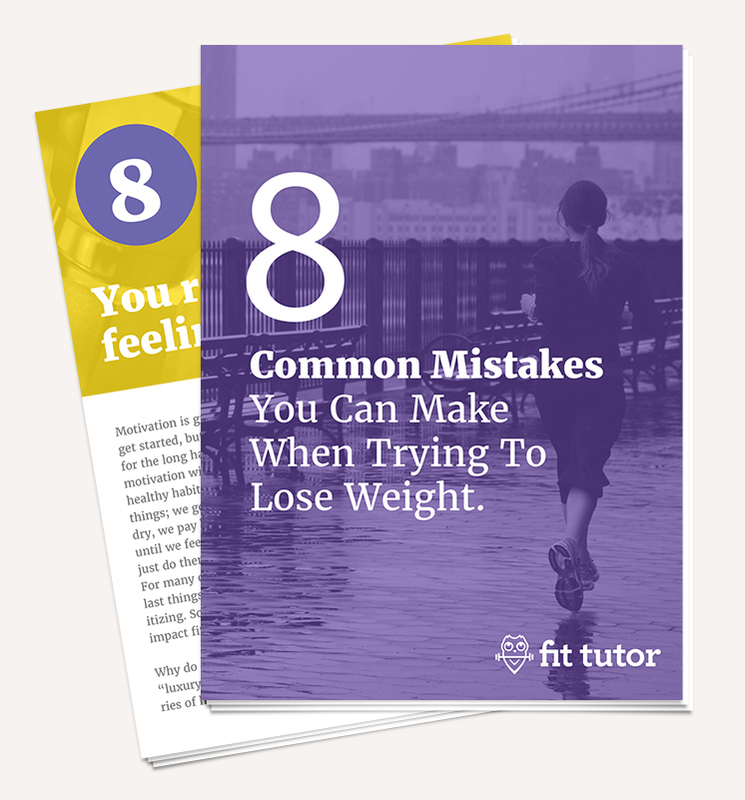 Limiting your measurements to 2-3 areas and re-checking every 2-3 weeks will be short, sweet, and telling! This will still give you the feedback you need while not taking up too much time and saving your patience for more important situations. Most ladies would want to consider measuring one of these common trouble zones: waist, arms, thighs, hips. Most of us grew up in an era that taught us “the scale is life, the rest is just details.” It’s hard to change that mindset, so if you’re consumed with the number on the scale, get one that’s on your team. Getting a scale that measures body fat percentage and not just your weight can give you better feedback about your progress. 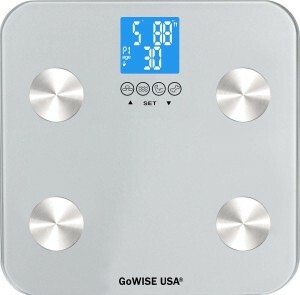 You can even get one that measures your water weight and bone mass, and even syncs with certain fitness devices! There are some pretty smart scales out there, but keep in mind there’s always a margin of error, so don’t let a bad reading ruin your day. Heyo! My referral link means that I think this product is a good find, and I make a few cents if you purchase- at no extra cost to you! Win-win! Remember, the point of any type of measurement is to give you feedback on if your efforts are working and let you know if you’re moving closer towards your goals. Lack of progress doesn’t mean you’re a failure or you should give up: it means something should change. 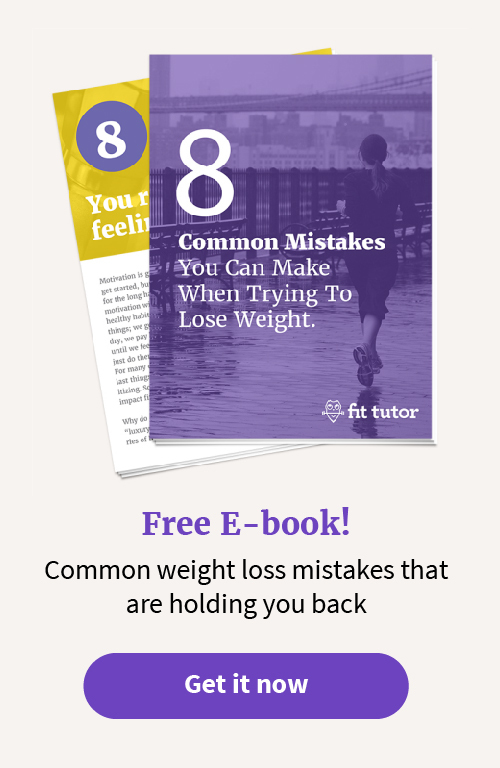 For some, your body will hold onto fat and you’ll have to be disciplined and determined to out-stubborn your body. Treat it right; don’t starve it. Keep at it. Don’t (I repeat don’t!) do these all at once if you’re not getting the results you want. I recommend manipulating one factor at a time. That way you know what’s working and what isn’t, and you have other factors to change if you end up plateauing at a later time. 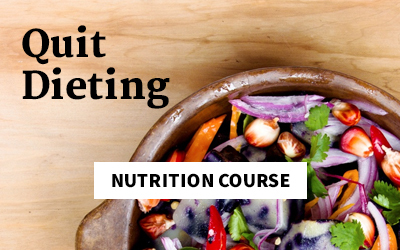 If you’ve been trying to lose weight but are having trouble getting results, if you are starting up an exercise regime and feel overwhelmed, and/or if you’ve cycled through diets before, think about giving The Fit Tutor a try! We have results-driven online workout programs for every fitness level, a nutrition course to teach you how to eat right so you never have to diet again, and accountability to help you stick with it! I’m a nationally certified personal trainer and nutrition coach, and I’m here to help answer questions and help you stick to a plan to get results. Get started today! 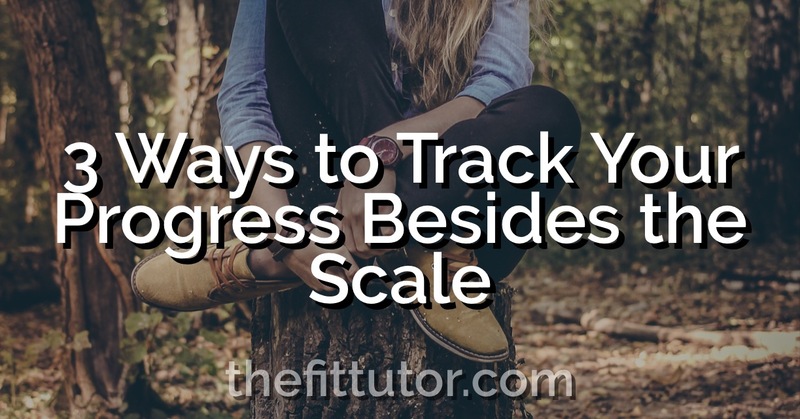 The scale might still be stubborn at times, but you’ll be excited to see progress with these other low maintenance ways of tracking! And I’m here to celebrate victories with you! Try these, and be encouraged friend. Keep going on this journey. Your health is worth the time and effort it takes! You’re much more than a number on the scale, and don’t let it be your enemy, but a guide in improving your overall health! And don’t forget to Pin this so you have it for later! Best of luck!